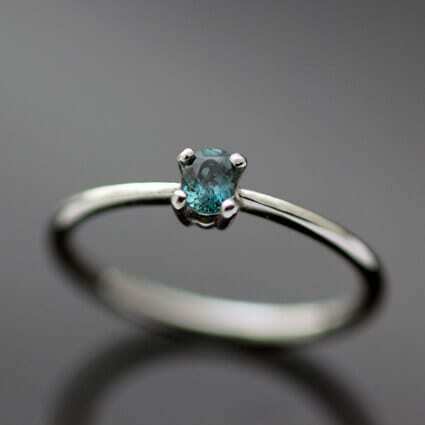 A beautiful colour change Alexandrite gemstone is used to create a unique and modern centrepiece for this bespoke Platinum engagement ring which has been thoughtfully created in collaboration with our client as part of the bespoke services offered by Julian Stephens. This bespoke engagement ring design was inspired by sleek, clean modern lines to create a ring which showcases the beautiful precious materials used in its construction. 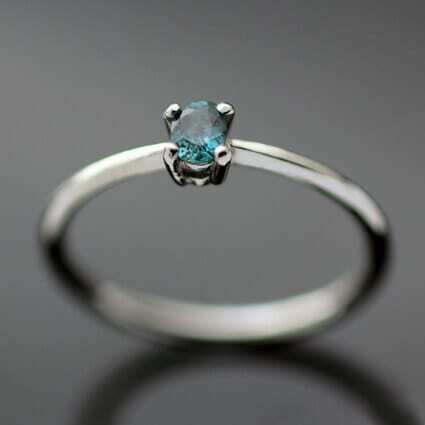 Creating a deceptively simplified version of the classic claw setting in dazzling Platinum to hold a stunning oval cut Alexandrite gemstone. 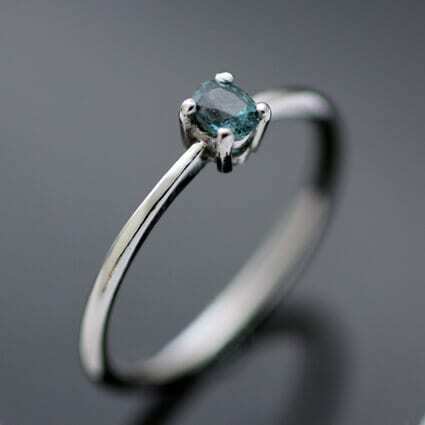 The glossy Platinum is given added icy lustre with a hand polished finish, enhancing the cool aqua hues of the natural Alexandrite gemstone. This exquisite contemporary engagement ring has been meticulously handcrafted by our master Goldsmith Julian Stephens from his Brighton workshop and proudly bears his exclusive makers mark and Hallmarks as an indication of its thoughtful design, quality materials and execution.